On Tuesday, Haggen filed a complaint against Albertsons, claiming $1 billion in damages and alleging that Albertsons had planned to “eliminate” Haggen as a competitor during the 2015 Safeway-Albertsons merger that saw the Bellingham-based grocery chain acquire 146 ex-Albertsons, Safeway, Vons, and Pavilions stores. The official complaint states that Albertsons violated two FTC-enforced laws intended to prevent corporate monopolies: the Clayton Act, prohibiting price discrimination and corporate acquisitions that might decrease competition, and the Sherman Act, barring anti-competitive business practices. Among the allegations of Albertsons’s reported efforts to “sabotage” Haggen’s expansion into the western and southwestern markets are that the grocery giant “strategically” cut off advertising to the stores they were planning to sell in the rebrand, intentionally overstock perishable goods which were transferred to Haggen shelves, and plan discounting and advertising for remaining Albertsons stores in a calculated time table that would “lure” customers away from Haggen. 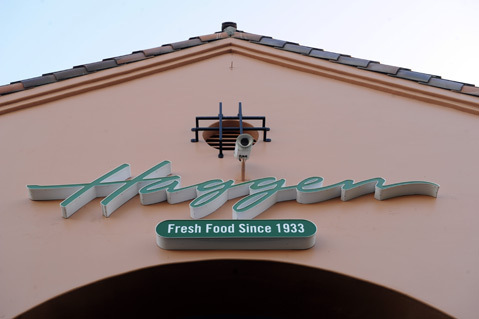 In July, Albertsons filed a lawsuit against Haggen, claiming that Haggen hadn’t paid for $41 million worth of merchandise and accusing the corporation of fraud. A copy of Tuesday’s complaint can be read below.